A previous PSYFARI production. All photos supplied by the organisers. A three-day annual music and lifestyle festival which was the centre of controversy three years ago has been moved to the ACT with a scaled-back version to be held late next month in Tharwa for 2,000 ticketholders. The popular PSFARI festival came under close police scrutiny after three young men died in a car accident at Bilpin in early 2015 after leaving the festival, which at the time was held in Capertee Valley near the Blue Mountains. The driver later pleaded guilty to driving while under the influence of drugs. 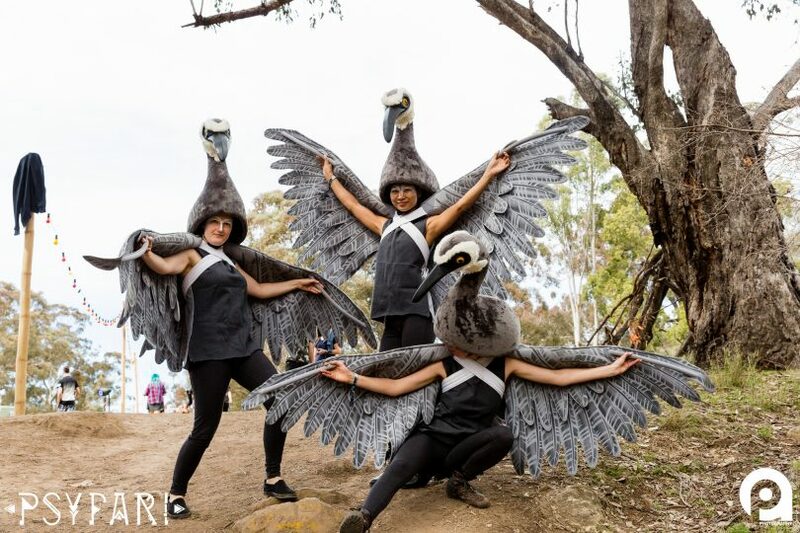 The festival ran again with a heavy police presence in 2016 and then took a year’s break in which organisers decided to reformat the event and run a smaller version in the ACT – closer to services, with shuttle buses to Canberra, and with a volunteer Dancewize harm reduction team patrolling the festival. PSFARI Music and Marketing Manager Stevo Demian said that festival organisers have been in close discussion with Canberra authorities about the event which runs from February 23rd-25th and have a ‘zero drug policy’ in place, as well as offering festivalgoers the option of testing themselves for any drugs in their system before they drive. “We look forward to working with the emergency services to make sure the event is safe and the roads are safe,” said Mr Demian, who added that festivalgoers will also be encouraged to camp at the festival for an extra night after the music program has ended. “Because of that incident, every festival has a heightened awareness now,” he said. 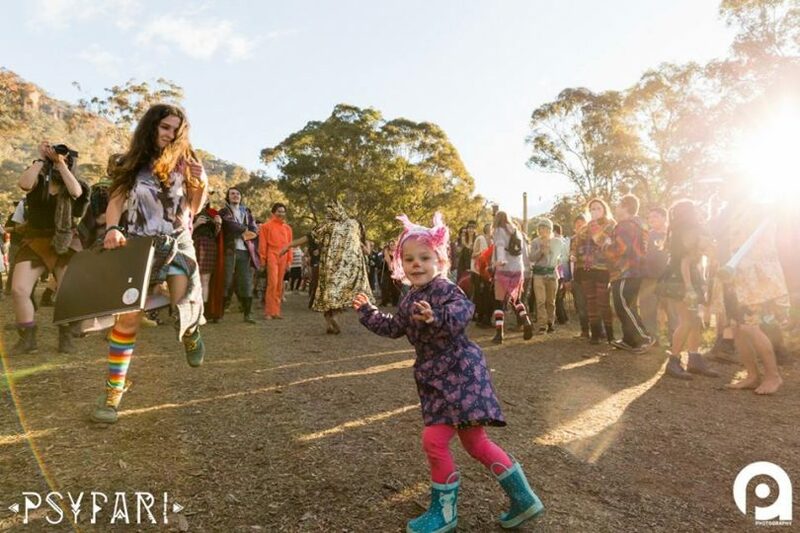 The PSYFARI Jamboree will be held at the 500-acre Caloola Farm in Tharwa and feature more than 100 music acts, performers, speakers and artists. “The event is part music festival, part conference camp, part art exhibition and part costume party,” Mr Demian said. PSYFARI is part costume party. Photo from a previous PSYFARI supplied by the organisers. A past music act at PSYFARI. Photo supplied. Music acts will include both live music styles from rock & funk to reggae & blues, and electronic music styles from psytrance & drum n’ bass to disco & downtempo/chill music. 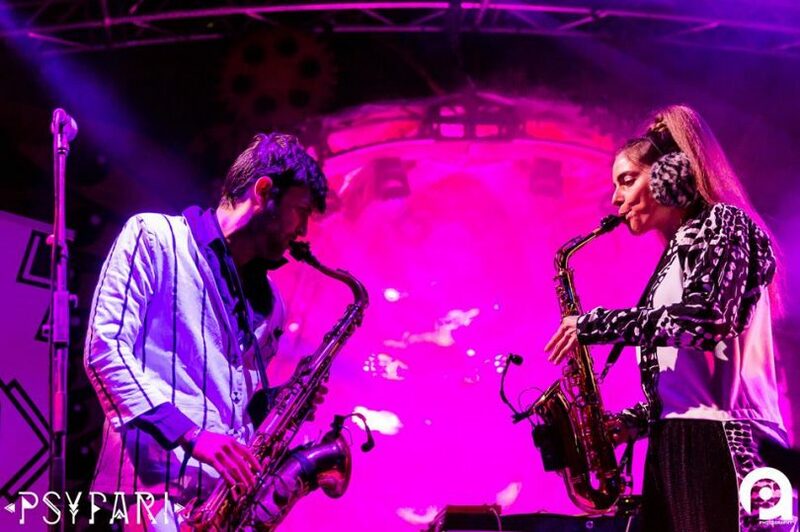 Mr Demian said that some of the international acts to perform at Tharwa will include Beats Antique featuring Sidecar Tommy & David Satori (USA), Aphrodite (UK) and Flooting Grooves (South Africa). He said some of the Australian headliners will include Lime Cordiale, Ryanosaurus and Dark Nebula. The festival is run by volunteers and also features an art gallery, a workshop area, two stages, a kids’ space, and market stalls. Mr Demian said the festival has operated for nine years and has a strong following – including among Canberrans. 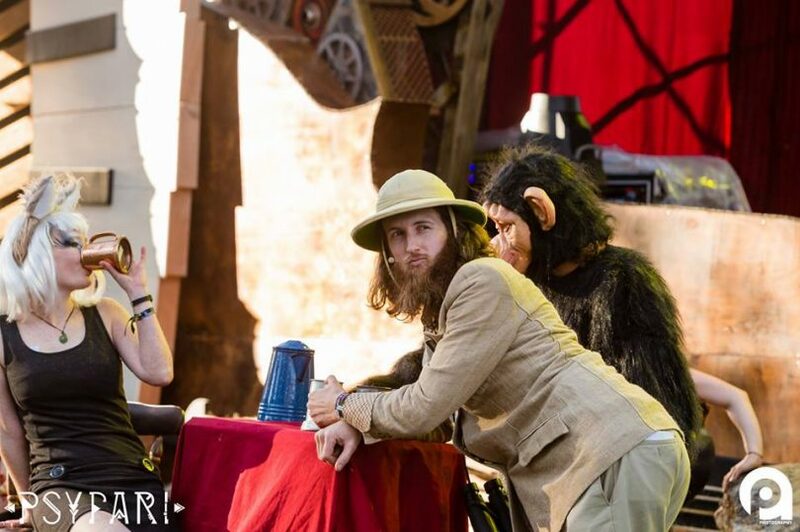 He said it is particularly attractive to those involved in the ‘van-life culture’ – or people who love camping, travelling and spending life in the outdoors away from mobile phones and the internet (the property the festival will be held on is ‘offline’). “Those attending camp together, attend workshops together, view art and musical performances, all while enjoying the great outdoors,” Mr Demian said. Caloola Farm at Tharwa. Photo: Supplied. Mr Demian said Caloola Farm has been chosen as the venue for the festival because it has a long history of supporting community gatherings and offers a rural setting with plenty of camping space and minimum impact on neighbours. “PSYFARI’s community liaison will soon be moving to the area and visiting neighbours and locals, keen to connect and have them involved in the event if they are interested,” Mr Demian said. “At the previous location, the event had formed a great relationship with the local farming community, having dozens of families attend each year, many of whom became involved by volunteering behind the scenes. Tickets to PSYFARI cost $220 for the three-day festival and three nights camping (early bird tickets are sold out) and are on sale via www.psyfari.com. Entry for children aged 12 and under is free. Food will be sold onsite but patrons can also bring their own and the event is BYO. 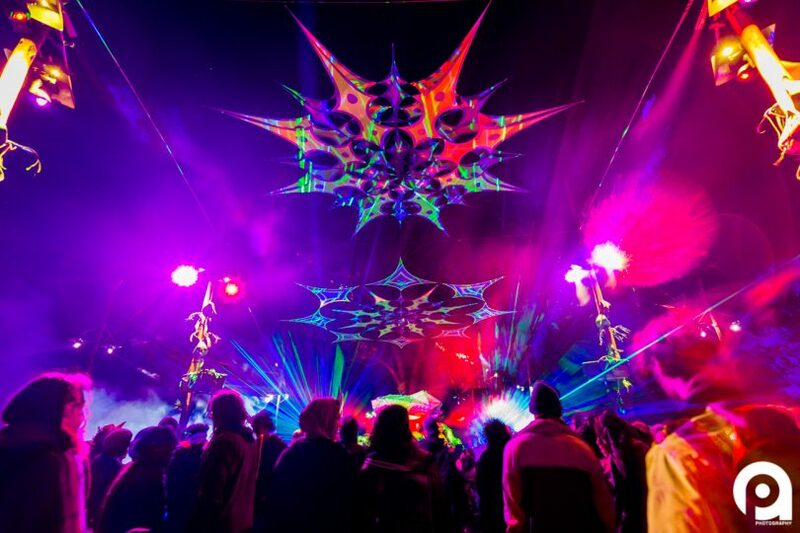 Below is a video about the 2016 festival which has been supplied by PSYFARI. Are you pleased to see this festival move to the ACT or do you have concerns? Let us know in the comments below. Good write up but such a negative title. Seems like a cheap sensationalist approach to cause controversy.